There’s nothing like a bit of controversy and Battersea Park is nothing if not controversial. It’s home to the Adventure Playground that made it into the national news for charging £2.50 per person. Britain truly was Disgusted of SW11. But guess what? 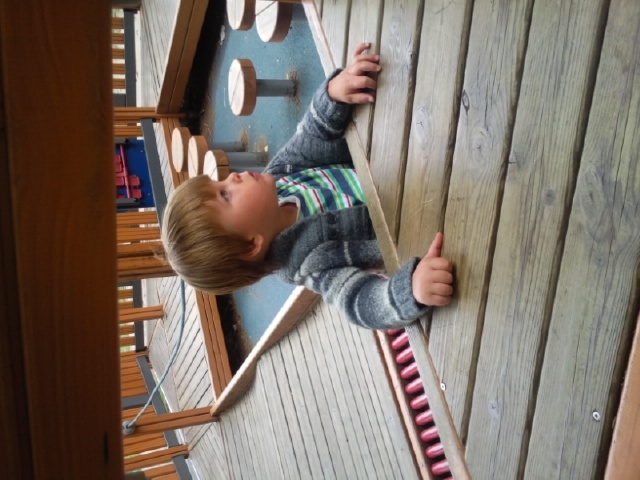 We went there and used the playground right next to the adventure playground and didn’t have to pay. Now, there’s sticking it to the man. Keep going a little further, through some woodland, and there it is! The controversial adventure playground. But wait, you only have to pay for the older kids bit? Well, that’s fine then. Their parents don’t have to pay for childcare or nappies. And if you live in Battersea, surely you earn the same as a small Eastern European nation anyway? I know, slippery slope etc – Tory government, charging for kids’ facilities, soon we’ll be taxed to leave our own front doors…but let’s get this in perspective. It’s an adventure playground. If they stuck it indoors and called it a soft play, no-one would flinch at paying for it. Anyways, back to the matter in hand – the free playground. And very good it was too. A number of different areas for different age groups (mainly sign posted), lots of slides and frames to climb on. In the toddler area, there’s a play train and a play car. Of course, Reuben ignored these things and went straight for the big boys’ frame but what else would you expect? Next to the park, there’s also a very good (also free) one o clock club, which has an awesome Austin Powers style bachelor pad stimulation room., complete with water bed and lava lamps.We’ve been there a lot of times and would recommend it, unlike the boating lake which we’ve never tried but hey, I’ll recommend it anyway! 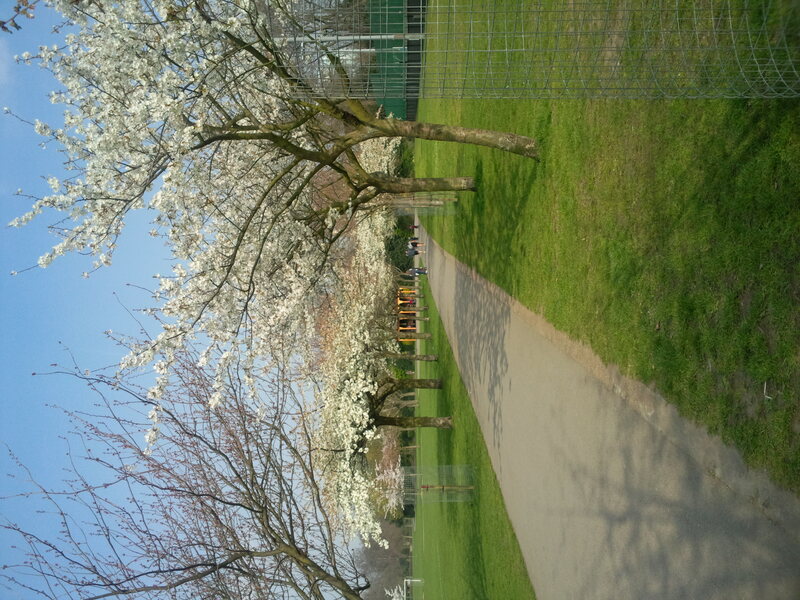 VERDICT: One of the best parks in London- lots to do and lots of open space. This entry was posted in Token attempts at fresh air (parks) and tagged ducks, nature (really?! 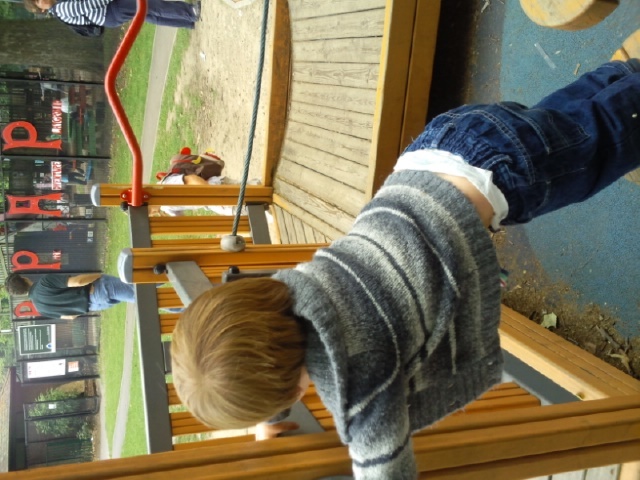 ), one o clock club, playground, slides, South London, swings. Bookmark the permalink.